Do you need some inspiration on this Friday? The weekend is almost here. Get ready to be inspired!? Sarah and I watched Temple Grandin. I would highly recommend you seeing it too. The movie is based on the life of Temple Grandin a child born in an era when people with mental or physical disabilities were institutionalized. The story traces the hard work of raising Temple to use her “different, but not lesser” brain that sees in pictures for extraordinary things. Her autism did not stop her from learning, overcoming challenges, and excelling in education. She has become an innovator in the farming industry and a spokeswoman from autism. It is amazing how God hardwired our brains and bodies! However, this begs a good question: Is God in control of mental and physical disabilities? In short, yes He is. He tells us: “Who has made man’s mouth? Who makes him mute, or deaf, or seeing, or blind? Is it not I, the Lord?” [Exodus 4:11] In Jesus’ ministry to a blind man He says to His followers, “It was not that this man sinned, or his parents, but that the works of God might be displayed in him.” [John 9:1-3] God intends our disabilities both for His glory and for our good. My sister Samm was born with Spina-Bifida. I remember as a young teen visiting the Children’s Hospital of Milwaukee and spending long weekends at the Ronald MacDonald House wondering what the fate of my little sister would be. I am certainly glad that my mom and step-dad said “no” to the recommendation of abortion. Instead they sacrificed much to raise a wonderful and beautiful woman who has championed through her disability. If you would talk to my sister, you would not hear one who is weakened because she is in wheels, but one who strengthens all around her through her determination to use her disability as a platform for good. We are incredibly proud of the woman she is becoming. you knitted me together in my mother’s womb without eyes. I praise you, for I am fearfully and wonderfully made with cognitive challenges. my soul knows it very well though my ears will never hear a sound. intricately woven in the depths of the earth without Hexosaminidase A.
Sarah and I went attended our very first professional football game on Monday Night. We ventured up to the Frozen Tundra of Green Bay Wisconsin to watch our favored Packers beat the Baltimore Ravens, 27-14. It was a balmy 13 degrees in Lambeau Field, but that is normal for America’s Dairyland this time of year. Sarah was toasty. 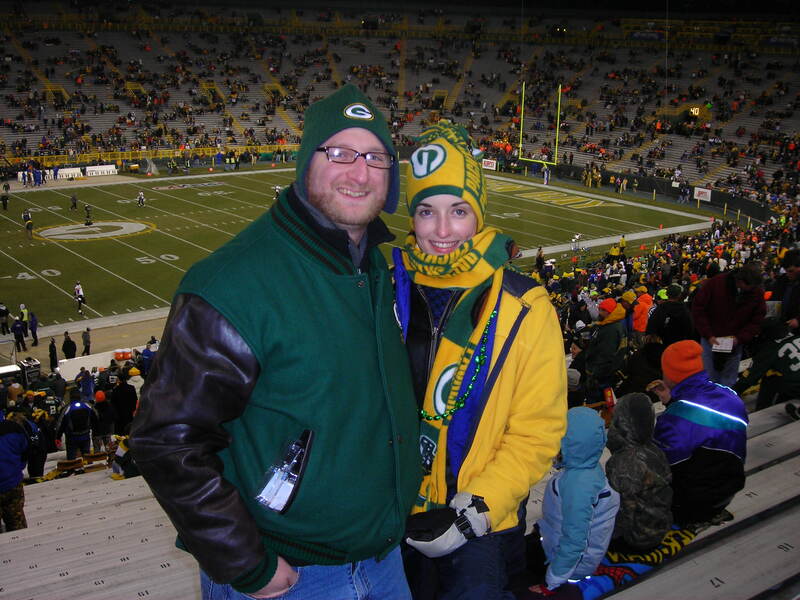 We bundled up in layers of clothes and huddled together with the thousands of other fans dressing in their Green and Gold gear. It was a dream come true. I have never been to a Green Bay Packers game before. I have visited the historical stadium on numerous occasions, but never for a real game. I had a tear in my eye as we walked the tunnel through the atrium into the stadium. The Pack performed amazing defense, the crowd was an eruption of joyous and boisterous cheers, the air was crisp as an ice box, and the cheeseheads were out in full bloom. We had no sympathy for the Ravens, even though Sarah and I saw the great story of Michael Orr from the movie Blind Side. What a night to remember. I have not been to Wrigley Field or the House that Babe built, but Lambeau is one epic arena. They are the Yankee’s of the NFL sporting 13 championships and innumerable Hall of Famers. We sat under the names of men like Ray Nitschke and Reggie White ‘the minister of defense.’ I got the honor of meeting Nitschke while working at Schmidt Sporting Goods as a teenager. He was a gentleman in person, but on the field a terror. One word summarizes our MNF experience: priceless. The name Bella means beautiful. 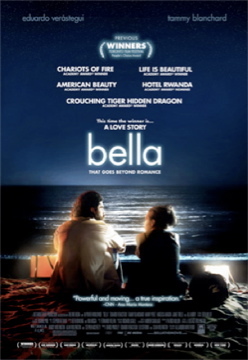 As one watches this movie they find two characters whose lives are anything but beautiful. First, there is Jose is a scruffy character that hasn’t been the same since a tragic accident that ended his promising soccer career. He becomes the head chef at his brother’s fancy restaurant. People worry about Jose—especially his family. Second, there is Nina, she is a waitress at that same restaurant. She is young, unmarried and discovers she is with child, but does not want to be pregnant. Her morning sickness and consecutive late arrivals to work get her fired. No one worries about Nina—except Jose. Jose is drawn to the troubled woman and offers his help. She doesn’t want his help at first. Nina has decided that if her life is ever going to be normal again she must abort her little girl. In the end of this movie we truly see how beautiful life is. I recommend Bella for any occasion. This is a remake of a 1957 Western. Dan Evans is no hero, just an ordinary Joe. He is what he is, no frills. He simple speaks what he thinks and does not manipulate. Then there is Ben Wade (Russell Crowe), who plays the best outlaw I have ever seen. He is the kind of guy you love to hate, but there is something mysteriously interesting about him. He is Bible thumping creep with a Messiah-complex, and who has named his gun “the hand of God”. He kills anyone who stands between him and the riches he seeks, and even kills people as a hobby. A unique side note: his mom at a train station as a child abandoned him, and interestingly enough she told him to read the Bible. One day Ben comes across Dan Evans’ herd of cattle while seeking to rob a banker coach. 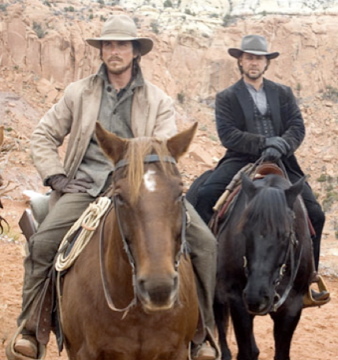 Dan becomes instrumental in Ben’s arrest and volunteers to help deliver him to Contention, Arizona, where he will be put on the prison train to Yuma at 3:10pm. Dan does this all for $200 to save his ranch and gain the respect of his wife and son. He is willing to risk his life for what he loves. While on the journey to Contention it is just that, contention. Ben does everything he can to outsmart his captors. This is when Dan becomes an ordinary hero. Dan and Ben have multiple interactions on the journey. Dan’s humble ways shoot down the pride of Ben Wade. We learn that Dan’s life is built to be a hero to his children, and a man of honor to his wife. These are all things Ben learns to admire: fatherhood, humility, and character. 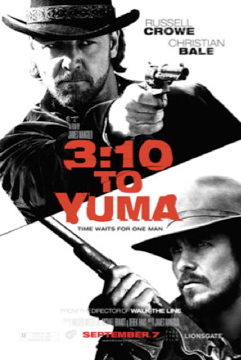 I recommend 3:10 to Yuma for adult audiences because of the violence and language. What kinds of movies, TV, music, books, etc., can a Christian enjoy and still be honoring to God? No other issue has been the source of more debate and friction between Christians in our media-saturated and pleasure-seeking society. This issue has been the source of so many legalistic rules in an attempt to keep Christians from being contaminated by the world. Some Christians say we should avoid movies altogether; others would say G-rated ones are acceptable, and others say that you can watch whatever you want. Christians are far too loose on their entertainment standards, but on the other hand, many others overreact to the dangers of modern media by setting up rules that “go beyond what is written.” Can we understand these issues in a way that avoids extremes and maintains a biblical balance? If someone were to approach me and say that I were in sin for watching and promoting the movies list in my blog or shelved in my personal library then I would say, “Let’s look at the heart.” Is what your are convinced in the heart to be sinful or evil what I should be convinced is sinful or evil? Is there law or liberty on this issue? What I take into my eyes and ears can definitely tempt and influence me, but it cannot necessarily cause me to sin. Why take the risk then and use my liberty to watch an R-rated movie I know will have violence, vulgar language, etc? To this there is no easy answer. There is nothing inherently wrong or evil about some of the media people enjoy today, and there is nothing wrong with enjoying it merely for entertainment. Ecc.9:9 tells us to “enjoy life” and throughout the book to “eat, drink and be merry”, of course we are to enjoy life within the moral confines of the Scripture. Now if the entertainment is causing you to be desensitized by sin or tempting you to do evil them it should be avoided altogether. And such verses have been used offensively, “avoid of the appearance of evil”, and do not be conformed to the world,” which both of these verse are primarily targeting the heart/mind rather than appearance. Media and entertainment can be used for godly purposes. Even Hollywood produced TV, movies and music can be a great platform for sharing the gospel. I have often used movie clips and songs from today’s popular culture to share biblical truth. Both the strength and weakness of secular media can be useful tools for building an unbelievers (and believers) understanding of biblical truth. I have been encouraged to hear from a few teens after using a secular song to amplify a biblical truth that later when they were listening to secular radio and heard the song they were reminded of the biblical truth. Most Christians can enjoy the music of Mozart and Tchaikovsky even though one was a libertine and the other a homosexual. 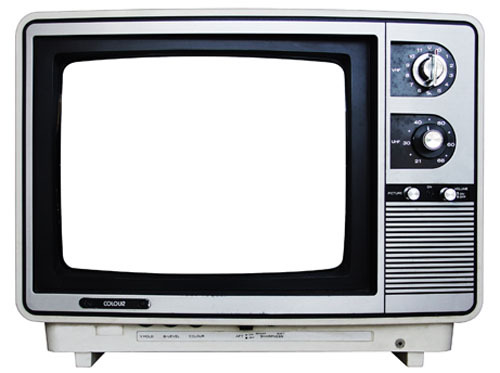 So why can’t we enjoy modern media even though they are ungodly? To His people God “has given wisdom and knowledge and joy, while to the sinner He has given the task of gathering and collecting so that he may give to one who is good in God’s sight” (Ecc.2:26). The abilities that unbelievers have been given to them by God and can be used for His glory even though they do not give credit to God for their gifts and use them with evil intentions. This does not mean all of the unbeliever’s media is for Christians to enjoy, but it is certainly reasonable to assume some of it is. The movies I enjoy and promote illustrate biblical principles. Now I am guilty of watching far too many movies that I would be ashamed to admit I have watched and enjoyed. For these I have repented. I know it is my responsibility to be wise and careful what I take into my eyes, and discerning about the trust and error depicted in movies and TV. If there are movies in the list that offend another Christian and cause them to have a tarnished view of my walk with God. Then I must ask, “Who are they to judge?” And do they know my heart? 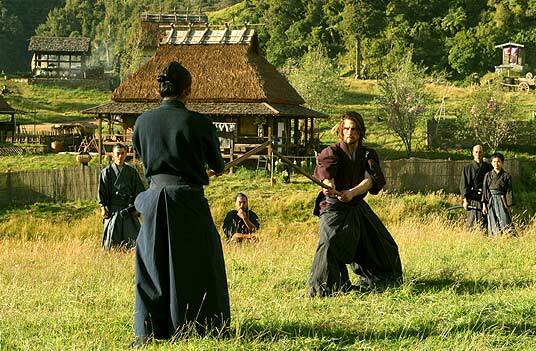 Tonight, I bought and watched “The Last Samurai”. I didn’t catch this when I saw it in the theatre, but Samurai means “servant”. A samurai was a warrior, protector and servant to the emperor of the Japanese kingdom. They spent 1200 years perfecting their art. Today, the samurai is no more. They are have become extinct. The modern world with its fine industrialization, Western protestylization and new warfare tactics all killed the samurai. Samurai were thought to be savages by their enemies. In fact, they were more dignified than most of their enemies. Their entire lives they trained perfecting their warfare skills. They purposed to keep their warfare as honorable as possible by extending forgiveness and respect to their enemies. Christians have a lot in common with the Samurai. We are engaged in warfare everyday with a savage enemy. We are to seek to perfect the art of serving my King. In the mist of spiritual battle we are trained to stand strong, respect our enemies and extend forgiveness to those that wrong us. What if you were the last Christian? What would the world say about you? Would the legacy, dignity and reputation of the Christian live on long after you were gone? Would they say that you were marked by your service for the King of kings? I am the protector of the Truth. I am a warrior for God. I am a servant to the King.